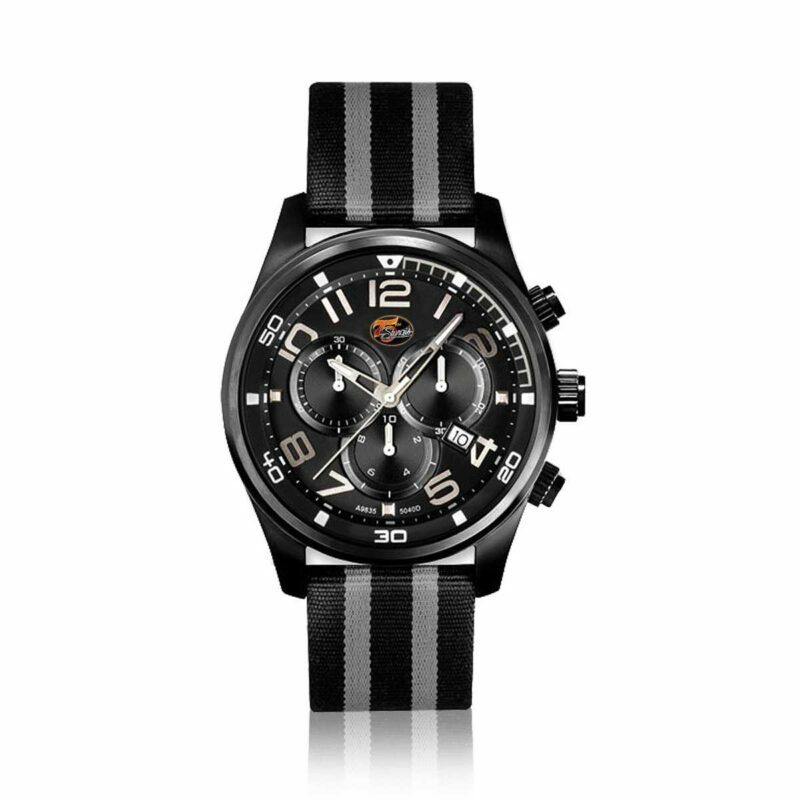 This sporty timepiece with its stunning silver and black colors commemorates the 75th Anniversary of the Sturgis Motorcycle Rally. Its case is crafted in stainless steel with a black I.P. plating, and houses a precision Swiss analog movement. 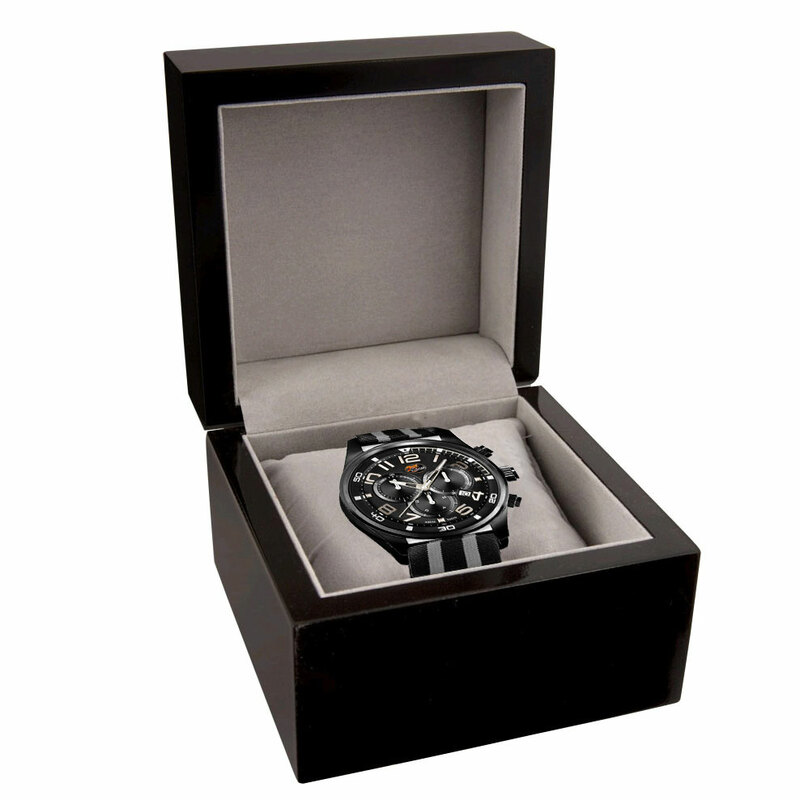 It features a chronograph with a 30 minute register and a 1/10 second counter. This unique dial is specially designed using our award-winning, state-of-the-art printing process, and is complemented with a luminous dial and hands. 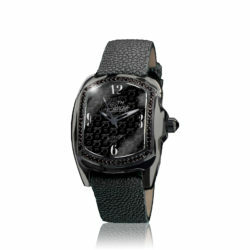 This 75th Anniversary Edition piece is crafted with a beautiful matching canvas strap and makes for a great collectible. 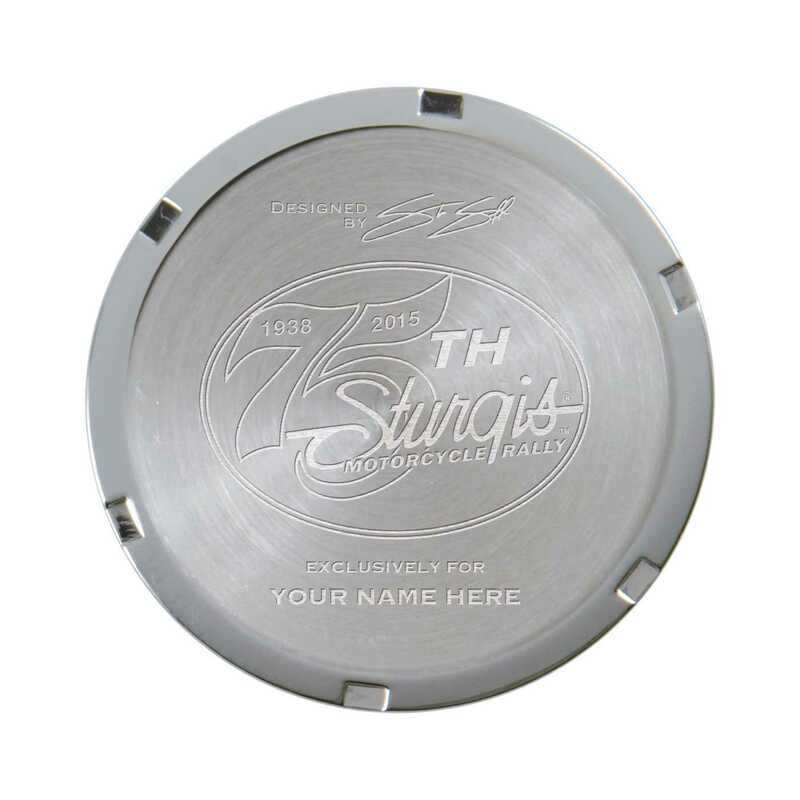 Special Note: Each piece can have a personal name engraved on the case back. 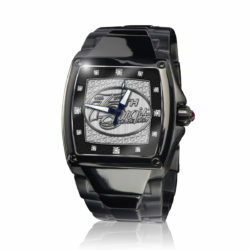 Stainless Steel Case finished in black I.P.